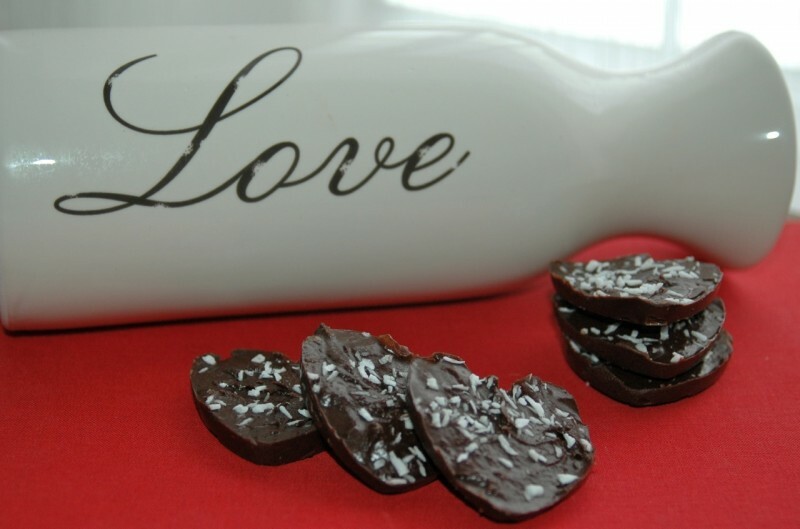 Show the special one in your life how much you love them by preparing these delicious two-bite chocolates for Valentine’s Day. 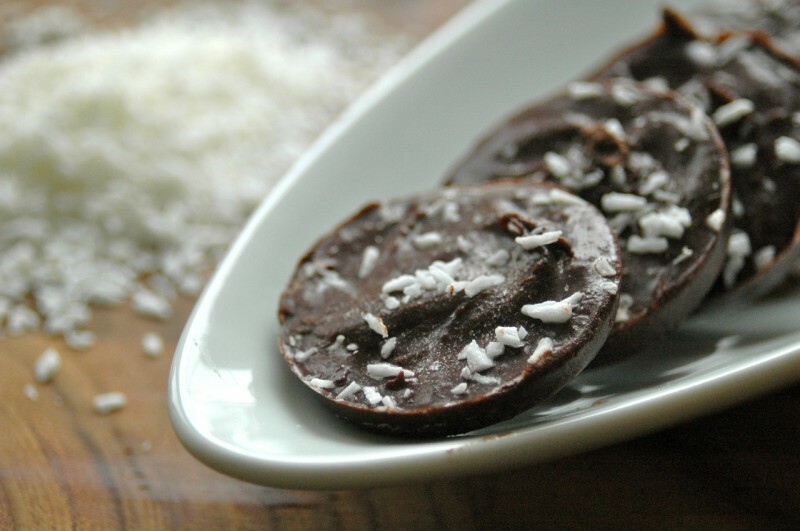 They’re just as rich, decadent (and well, addictive) as regular chocolate but they’re made with wholesome, healthy ingredients-which makes them a delicious treat that you can indulge in without feeling guilty about it! As a rule of thumb, most raw recipes are simple to make and require little prep time. The recipe for these two-bite chocolates is no exception to the rule. With only three ingredients, they take minutes to prepare and the recipe is foolproof-just combine the ingredients, pour into a mold, and freeze! 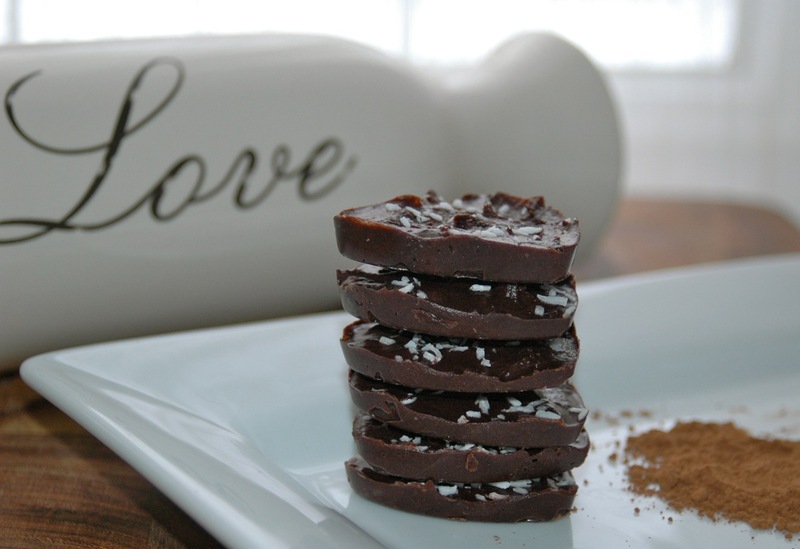 The combination of dark cocoa powder, natural sweetener, and rich, buttery coconut oil make these two-bite chocolates an ideal substitute for traditional chocolate since they have the same richness and creamy flavour, without the added refined sugar. They are a great option for people who have an intolerance to dairy, and consequently lend well to a vegan diet. There are endless flavour combinations that you can add to this basic recipe, which allows you to personalize these chocolates according to your personal preferences. 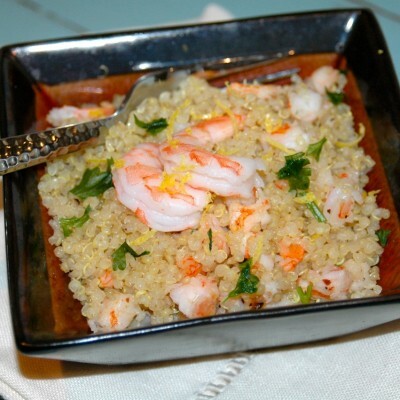 Although this is my go-to recipe, I’ve made many variations by adding different ingredients, such as lemon or orange zest, raisins, crushed nuts, candied fruit, melted caramel, a pinch of cayenne, and peppermint or vanilla extract. In a large food processor, blend all the ingredients, scraping down the sides of the food processor a few times, until smooth and combined. Using a teaspoon, dollop the chocolate into a non-stick mold, or a baking sheet or mini-muffin tin lined with parchment paper. Flatten the chocolate with the underside of the spoon and/or gently tap the tray onto the counter to smooth out the chocolate. 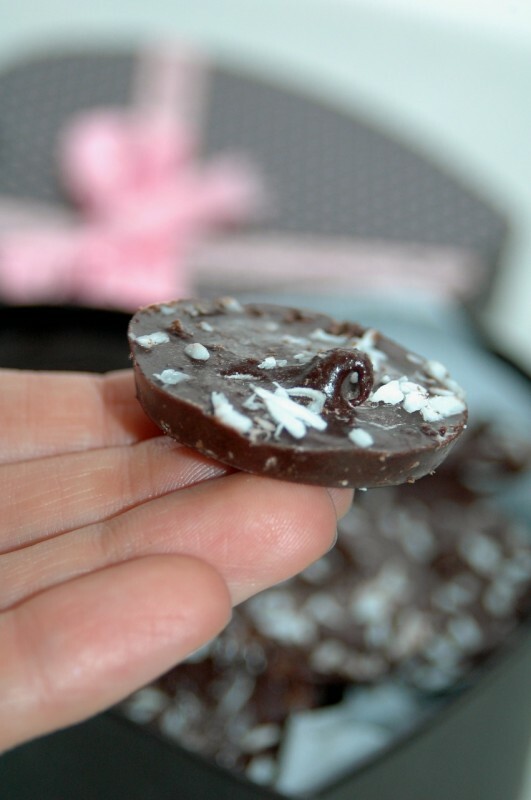 Sprinkle each chocolate with a garnish (such as crushed nuts, coconut flakes, etc. ), if desired. Set in the freezer for at least 3-4 hours until completely firm. Once frozen, remove from the tray and store in a plastic freezer bag or air-tight container in the freezer for up to 3 months. 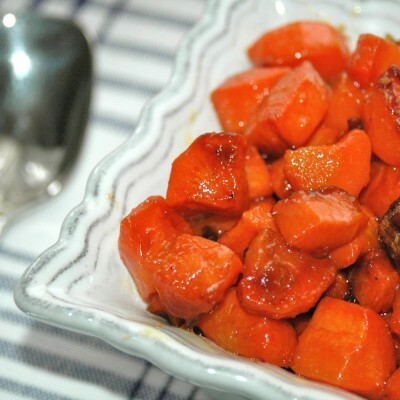 Remove from the freezer and let sit for 4-5 minutes before serving. These soften very quickly so they are best consumed immediately or within 15-20 minutes of removing from the freezer. I am making these tomorrow. If they are anything like your chocolate coconut energy bars	my daughter and I will both be satisfied! Thanks Lisa! You’re going to love them Christie! Two bites is all you’ll need..they are pretty decadent! Btw, did you see the post for the Spinach Brownies?! Thanks (as always) for the feedback! Great web site…thanks. Your mom told me about your site. Good job!